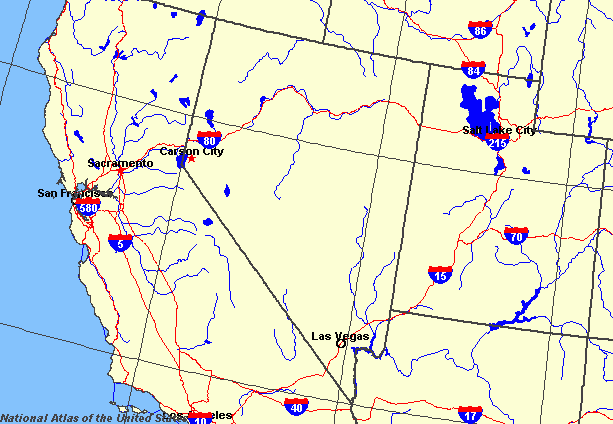 Nevada's favorite state atlas, the Nevada Road and Recreation Atlas, has been completely updated and revised for late 2010. Since its release, nearly 65,000 copies of this popular atlas have been purchased, making it one of the most successful map products in Nevada's history. The atlas feature award-winning Landscape Maps , which reveal landforms with amazing realism and detail. The complete Recreation Guide lists a myriad of outdoor activities arranged by category and the accompanying Recreation Maps show hunting units and ten types of public lands. 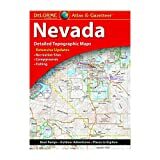 Rand McNally's folded map for Nevada is a must-have for anyone traveling in or through the state, offering unbeatable accuracy and reliability at a great price. Our trusted cartography shows all Interstate, U.S., state, and county highways and much more. 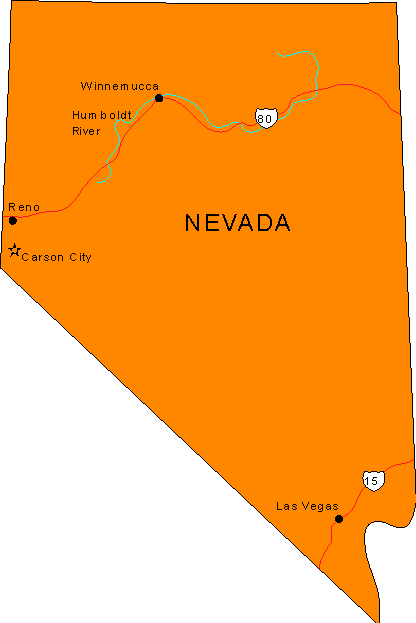 Nevada's favorite state atlas, the Nevada Road and Recreation Atlas, has been completely updated and revised for late 2010. Since its release, nearly 65,000 copies of this popular atlas have been purchased, making it one of the most successful map products in Nevada's history. The atlas feature award-winning Landscape Maps™, which reveal landforms with amazing realism and detail. The complete Recreation Guide lists a myriad of outdoor activities arranged by category and the accompanying Recreation Maps show hunting units and ten types of public lands. Sheet Size = 11" x 16"
The United States California and Nevada Adventure Map will guide you through two of the most spectacular and diverse states in the country. California and Nevada contain Yosemite and Sequoia & Kings Canyon National Parks, Death Valley and the Mohave Desert, the Sierra Nevada Mountains, Lake Tahoe, and dozens of magnificent National Monuments, Forests, and Wilderness Areas. The map includes the cities of Los Angeles, San Francisco, San Diego, and Las Vegas as well as the breathtaking Pacific coast of California. 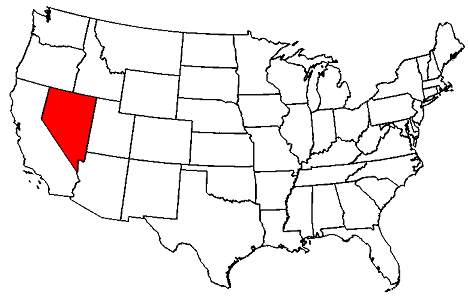 It covers western Utah and Arizona, including Grand Canyon National Park and the cities of Phoenix and Salt Lake City. There is simply no better map for exploring California and Nevada. 5 double sided maps of gold and gem deposits and mines in Nevada in the early years. Key to deposits. / Atlases: Every Benchmark atlas is specially designed for enthusiasts of hunting, fishing, camping, boating, hiking, and other outdoor activities. All atlases have Benchmarks exclusive Landscape Maps with large easy-to-read and page overlap, and a useful GPS grid. The categorized Recreation Guide makes planning your next adventure a breeze. The Recreation Maps have public land ownership shown as color tints, and most titles have hunting unit names and boundaries / Recreational Maps: Benchmarks Recreation Maps were created for outdoor lovers who want the high quality recreation information in our atlases but with the convenience of a traditional folding map. Complete public lands detail and hunting unit boundaries are shown as well as categorized recreation listings. 3 - Dimensional Map is a Wonderful Visual and Tactile Reference. Great for Real Estate Offices, Travel Agencies, Outdoor Enthusiasts and Classrooms. Size - 22 x 17 in. Raised Relief Maps are superior visual references that give a new perspective. Not only do these maps show you the beauty of the land, they allow you to touch a scaled representation of the mountains and valleys. Fully three-dimensional, these vacuum-formed vinyl maps also use NCR (Natural Color Relief) -- colors appropriate to the natural terrain of the state so you get a better understanding of the terrain and landforms. These maps are unique wall deco for home or office. The perfect gift for anyone who likes to travel this region; and a wonderfully decorative and informative item for native or newcomer. The durable and convenient Nevada and Utah EasyToFold state map will take all the wear and tear your journey can dish out. The heavy-duty laminated design allows you to mark your route, make notes, then wipe the surface clean for further use. This is a must-have for navigation whether you're a state resident or just passing through.